Ultimate Drive is a subsidiary of supercar and luxury auto distributor EuroSports Global Ltd SGX Symbol-5G1. We are pleased to bring Supercars to the mass market so that “Everyone can drive a Supercar”. Our micro-rental packages starts from as low as $298 for a 15 minute ride and we also have membership packages that allow members to use the cars for longer periods. In addition, we also have Supercar packages for Weddings, City and Island Tours and Supercar Convoys. What are the requirements to drive your cars? Driver must be minimum 20 years old, at least 2 years driving experience. International driving licence NOT Required. One more thing Singapore Law strictly prohibits driving under the influence of alcohol and drugs, so make sure you are not drunk and or high. Are the cars easy to drive? Yes our cars are very easy to drive as they are without clutch pedals (E-gear system). You can choose to drive in full automatic mode or change gears manually through the F1 paddle shifts. Where is the starting location? We have 1 starting point at the moment. If you book the tour online, you can just walk in to any of our outlet to start the tour, or you can contact us at +65 8444 4481 to arrange the tour starting location. Walk-in to our outlet at Marina Bay Sands. Payment by Cash, Visa, Amex, or Mastercards. Internet booking. Payment by Paypal, Visa, Amex, or Mastercards. Telephone booking. Payment by Visa, Amex, or Mastercards. A Tour sold is non-refundable (including in case of rain), but can be rescheduled once (subject to availability). A Tour is transferable, meaning you may transfer the tour to another person at no additional cost. What happen if I arrive late? You are required to be arrived 10 minutes before the scheduled time of your Tour. Ultimate Drive reserves the right to reschedule the Tour of Clients showing up after the time of their booking, if delay cannot be accommodated. What does each tour include? 15 minutes will take you part of the famous F1 Circuit. 30 minutes will take you part of the famous F1 Circuit, Sheares Bridge highway and experience under tunnel effect with the roaring sound of the car. 45 minutes will take you part of the famous F1 Circuit, ECP highway with a breezing road to Changi Airport. 60 minutes will take you on a custom route of your choice Sentosa Island, Suntec city, Garden by the bay, Singapore Flyer etc. If you book two 45mins tours and set off simultaneously, you can choose to swap cars halfway to experience both cars and enjoy 10% discount. At the end of the driving experience tour you will receive a certificate. There are onboard car cam video options if you wished to purchase which will be recording throughout your journey. There are Merchandise etc. T shirts, Caps, Pen, Keychain & many more to choose from. What other products/services do you sell? Ultimate Experience - Experience the thrill of driving on the official F1 circuit in a supercar. Super Limousines - Experience your special day with elegance and class. Convoy Drive - Enjoy drive supercar in a convoy. Ultimate Gift - A perfect gift for a car enthusiasts. 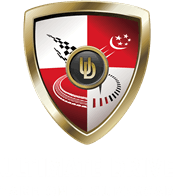 Ultimate Drive Membership - More supercar Less hassle One membership. We also have some collaboration scheme. You may contact [email protected] for more information.